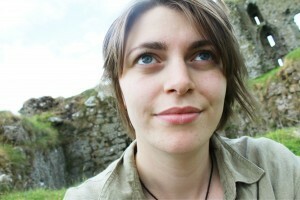 Clíona is a volunteer and advocate for Children in Crossfire. Read her story. Our fundraising team are always so busy planning and promoting events but on the day it takes our courageous participants and you, our dedicated volunteers to make every event be the best it can. There are so many fun-packed adventures for you to be a part of between Derry~Londonderry and Belfast. Check our list of upcoming events here and leave your details with us on 02871 269898. You could be working a station on the colour run or photographing Take me out. No matter what the event we always need our volunteers to help. Volunteering gives us something so valuable, it gives us your time. You become an advocate for our work and you actively become part of the change. You don’t have to do it our way. You can also volunteer your own unique ideas and host your own event. By doing this you not only raise vital funds for vulnerable children but you also help us share our vision. Hosting an event gives you the opportunity to share your passion for the work Children in Crossfire do in Ethiopia, Tanzania and right here in Ireland and the UK. Children in Crossfire will support you in your planning and provide top tips to reach maximum fundraising and we can provide any material such as leaflets to help you reach people with right information. Although hosting your own event is a great way to raise awareness there are other events that we have organised you could get involved with. There are many ways you can help raise awareness of our work in the local community, which is vital in achieving our aims. 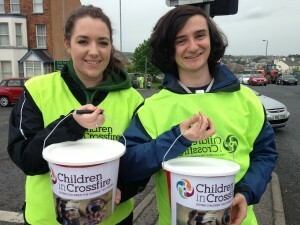 Throughout the year we organise a number of street collections. These can be in churches, or door & street collections. It takes a team to make these days work, so the better. These events are important to us for not only a fundraising aspect but because they get us out into the community to help raise the profile of the charity and let the community know what we have been currently up to. If you feel you could help at these events, great! Others chose to raise awareness speaking at other types of events that may not necessarily be a fundraiser. If you would like to raise awareness by speaking at an event, or to a group we can provide you with all of the information that you might need to be able to speak confidently and get support.